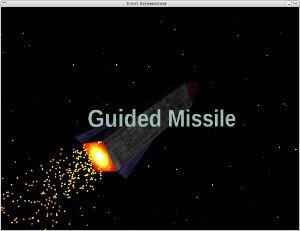 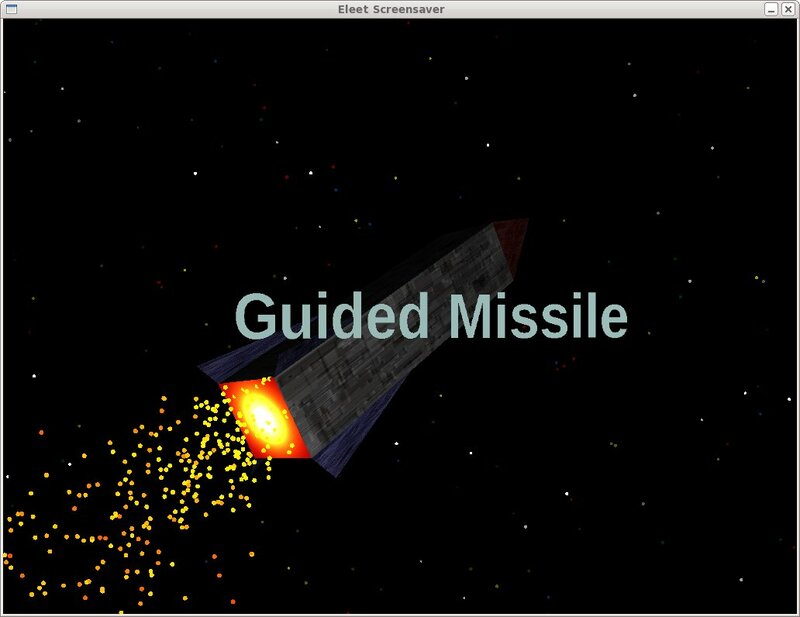 A screensaver for use with Linux and UNIX, that pays homage to the classic space trading game of Elite. 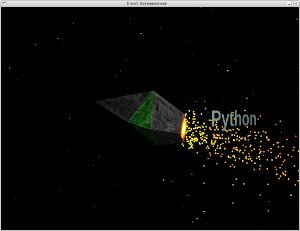 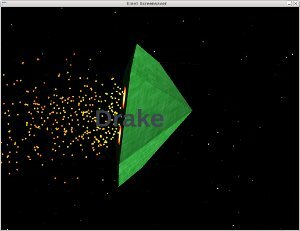 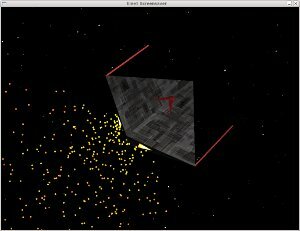 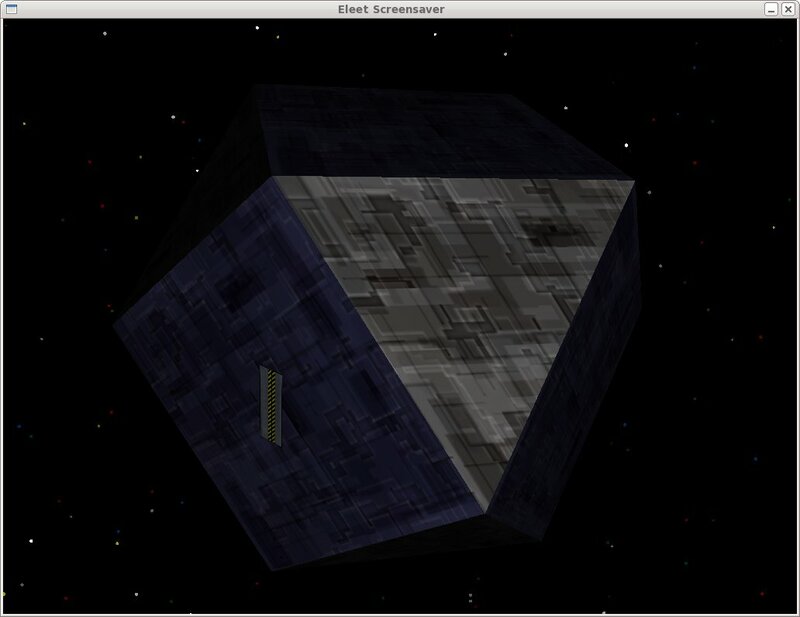 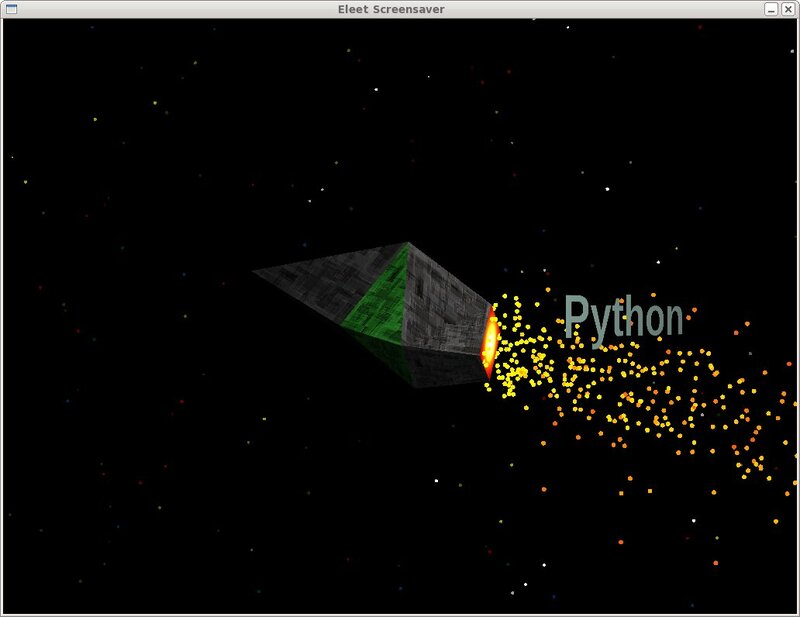 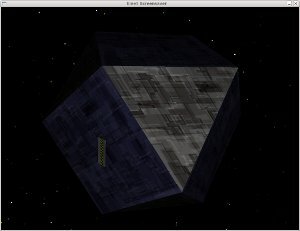 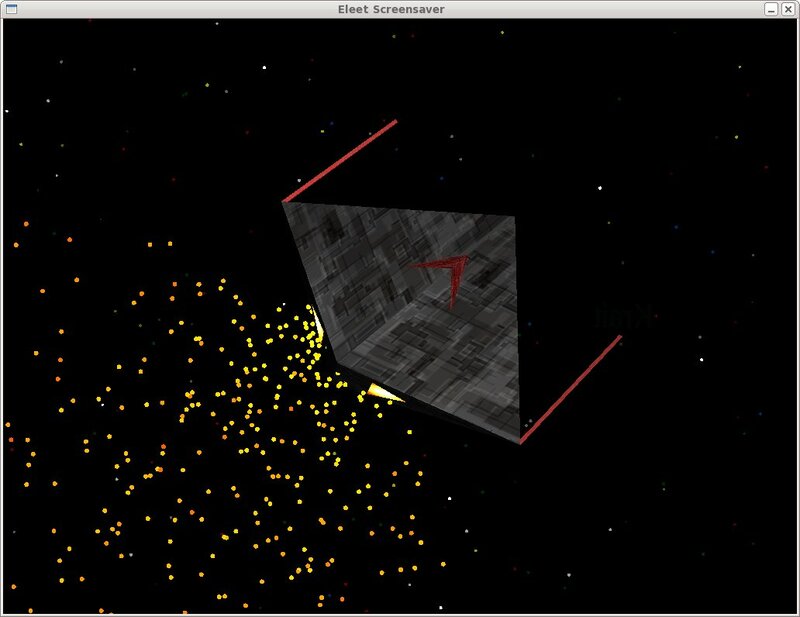 Eleet displays textured rotating OpenGL models of various spaceships, based on on those found in Elite. 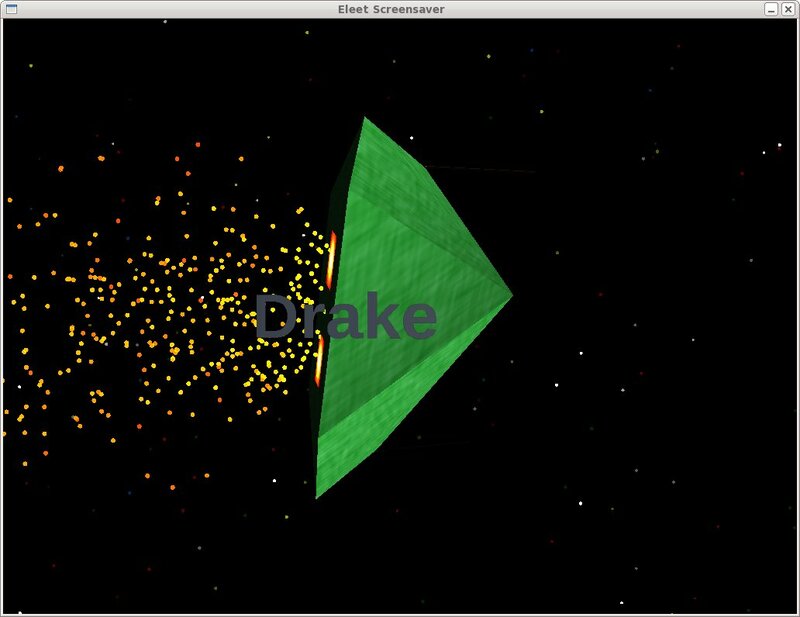 A random ship is chosen from a pool of 53 models and rotated against a starfield background, whilst the name of the ship orbits around it. 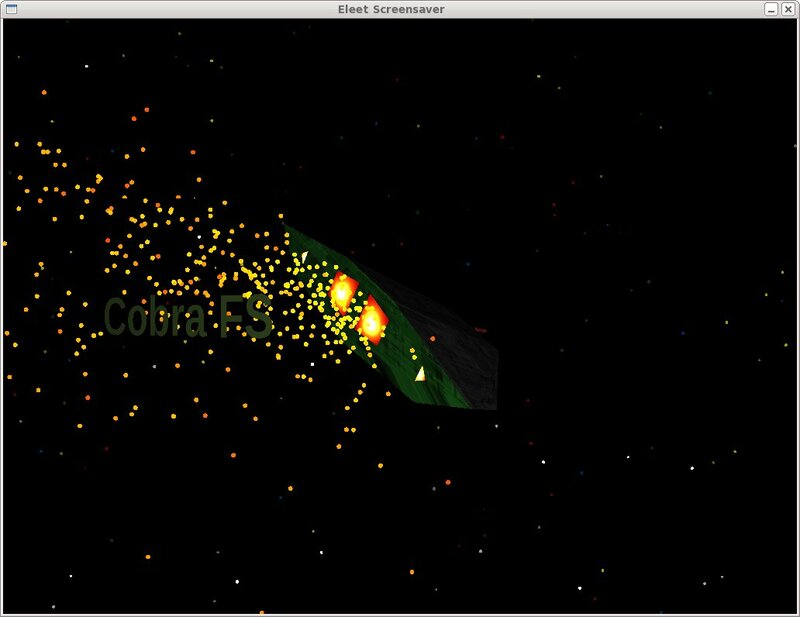 Ships with exhausts will also emit thrust particles.